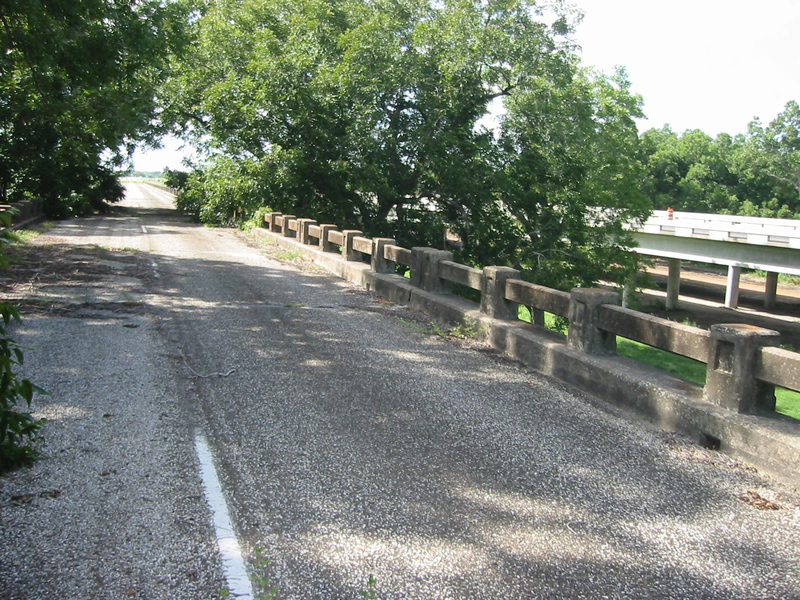 Images courtesy of Kevin Jackson from Houston. 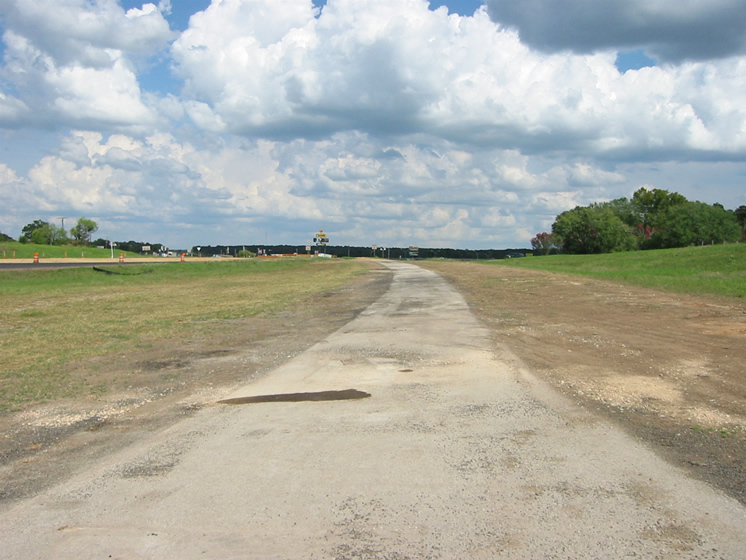 Taken August 19, 2005. 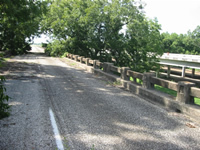 The State Highway 3-A Bridge at Plum Creek, also known as the US90-US183 Bridge at Plum Creek, is located just northwest of the US183 junction with IH10 near the town of Luling. 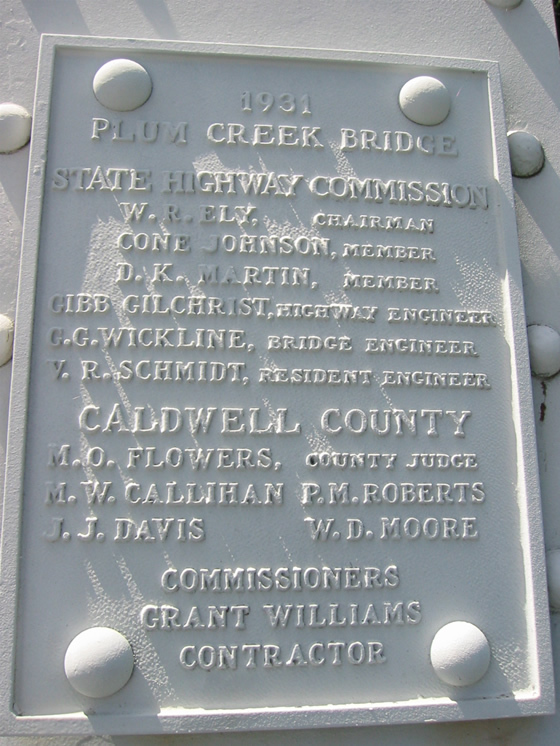 It was built by Williams, Grant, et al., Virginia Bridge & Iron Company, and was completed in 1931. 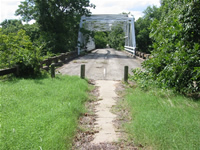 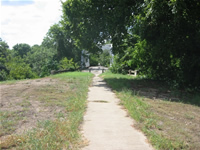 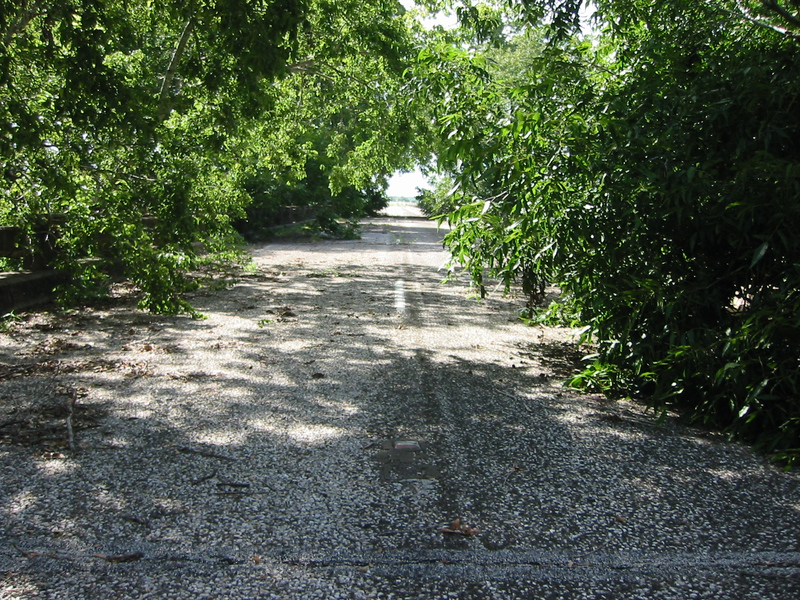 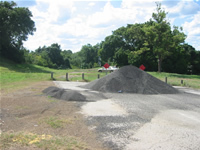 Although it is most commonly associated with US90 and US183 it was originally constructed and dedicated as part TX3-A. It took the US highway designations when many of our state highways became part of the US highway system. 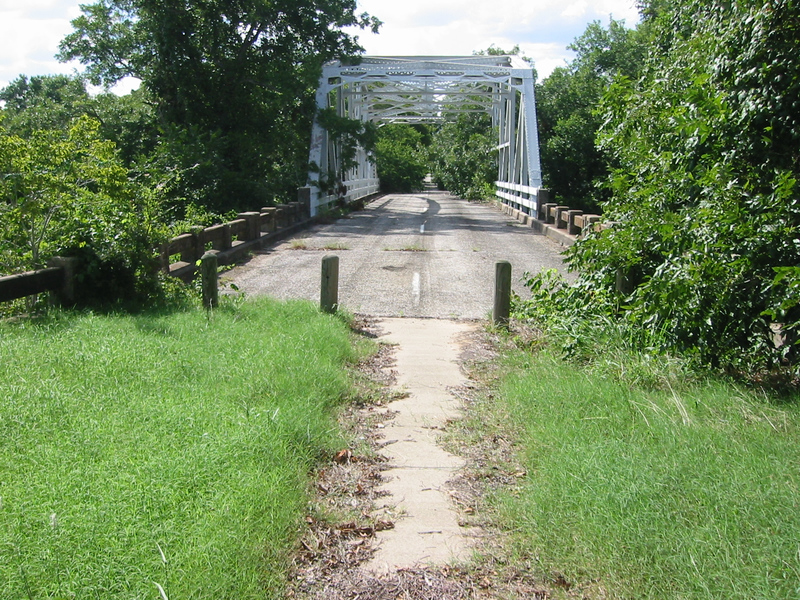 The bridge was list as an Historic Structure (#96001107) on October 10, 1996. This Terraserver image shows the bridge in active use in 1995. This map shows the location of the Plum Creek Bridge. 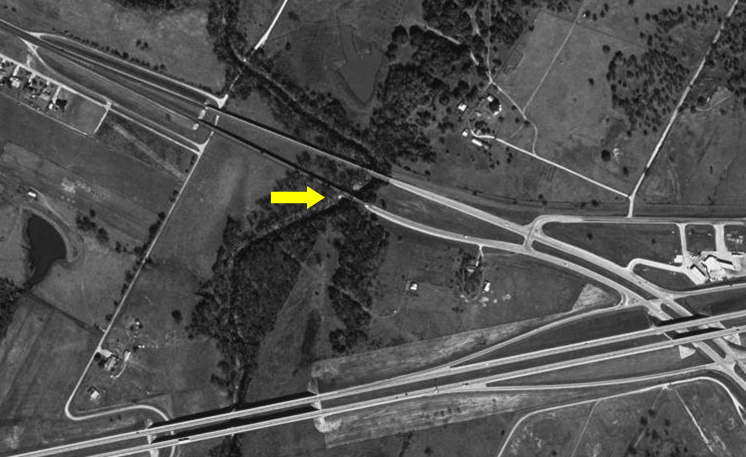 This is an aerial view of the bridge. 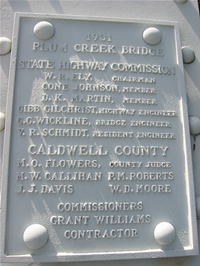 The dedication plaque on the southwest leg of the bridge. Approaching the bridge from the southwest. 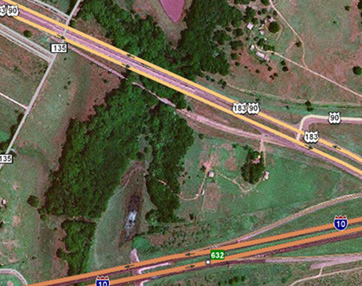 Getting closer. 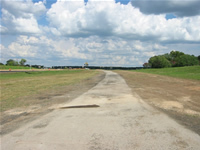 The road has been replaced with a sidewalk. 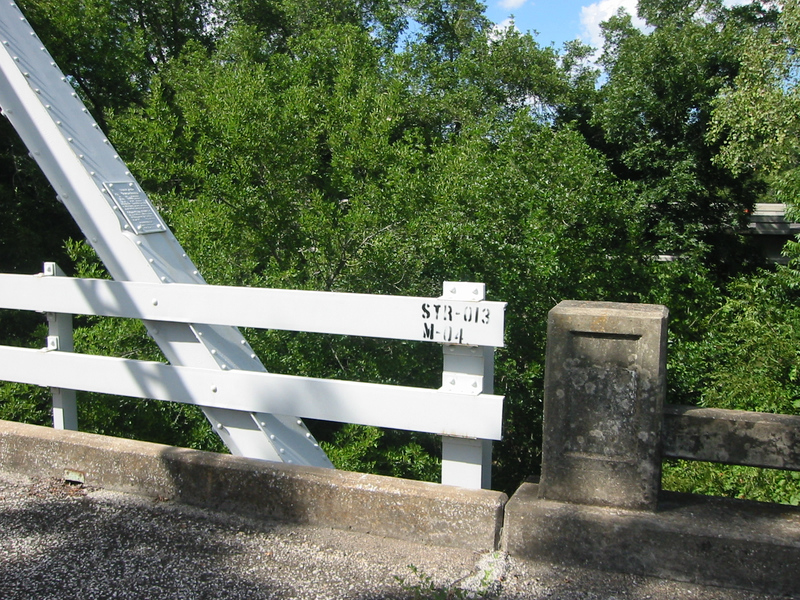 The joint between the south concrete secondary bridge, and the main bridge. 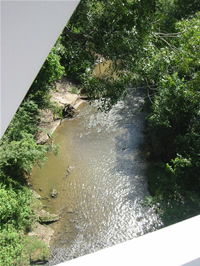 A look at Plum Creek from the bridge. Another view from the north secondary bridge.